- Pensky-Martens closed cup method and ASTM D93 Standard Test Methods for Flash Point by Pensky-Martens Closed Cup Tester. 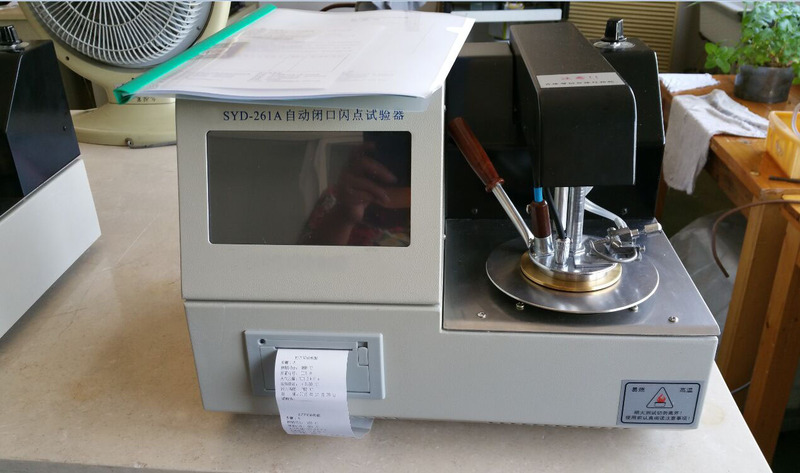 It is used to make determination of the closed cup flash point of the petroleum products. 1. Light-touch colored LCD. English man-machine dialog interface. 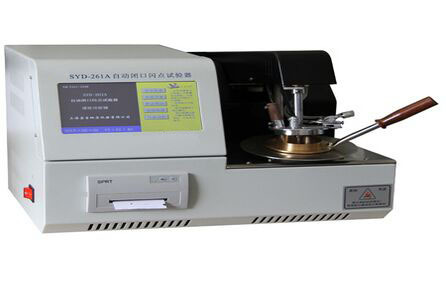 All parameters including preset flash temperature, sample number, atmospheric pressure and date can be set by prompt menu. 2. Simulation tracking of temperature rising curve with time. Prompt function. Test date and time can be modified. 3. 120 groups of data can be saved. 4. Automatically calculate the corrected flash point when the pressure differs from standard atmospheric pressure. 5. Differential detection. Automatic correct the system bias. 6. Automatically open cover, ignite, detect and print result. 7. Safe and easy to operate. 1. Power supply： AC(220±10%)V, 50Hz. 2. Flash point determination：Range: Ambient to 300℃. Automatic control and manually adjustable.